Eleaf iStick TC40W, an innovation of iStick series battery, adopts newly introduced technical element of temperature control. 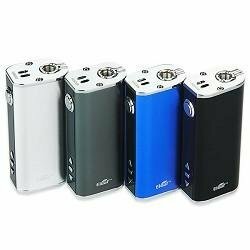 It will bring out a unique vaping experience without any dry hit by adjusting temperature setting. Despite the small size, it can reach 40W with large 2600mAh power capacity. Moreover, all stainless steel threads and elastic spring connector endow it with strong wear resistance. Accurate reading of resistance: The reading of resistance becomes more accurate with the number down to the second decimal point.